Global Recovery Alliance forms client partnerships to achieve excellence in international credit management and collection services. Our aim is to help clients achieve their goals through a combination of expertise and tailor-made solutions. We measure our success on the genuine results achieved for our clients. Global Recovery Alliance has been assisting healthcare providers and hospitals with their international accounts receivables management and out-of-country collections since 1998. Global Recovery Alliance is able to assist with all forms of self-pay, insurance and governmental cases. 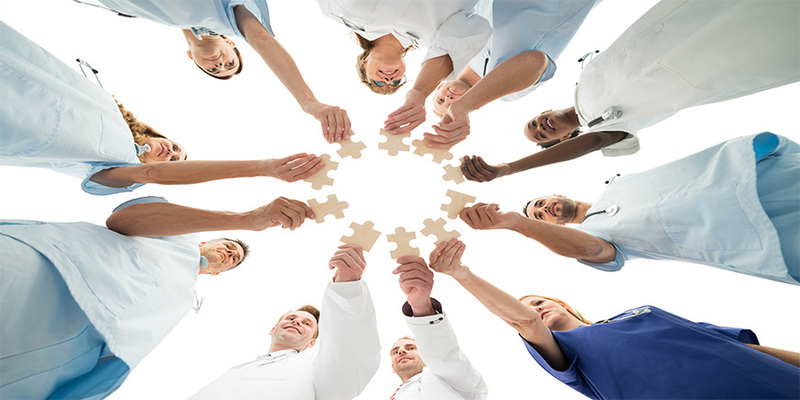 Global Recovery Alliance`s experience promotes understanding of the difficulties faced in navigating through a myriad of issues that the international patient and their health care provider face, be it international laws & regulations, governmental compliance, language barriers and time differences. Global Recovery Alliance is centrally based in Switzerland at the heart of Europe. With multiple languages spoken in-house as well as being fully networked worldwide, we are perfectly positioned to ensure global collection coverage to support any patient financial services team. Global Recovery Alliance`s contingency fees structure ensures there are no upfront costs or annual fees for using our services. This assists our clients with operational flexibility, transparency and cost control. Global Recovery Alliance’s internal procedures and processes are regularly monitored, evaluated and updated. We strive to ensure full advantage is taken of the most current and available technology, software and hardware resources as part of an ongoing commitment to excellence. The many client testimonials we have received over the years clearly prove our long standing commitment to success in working with international patients, healthcare providers, travel and health insurers and governmental departments or embassies. Global Recovery Alliance provides a smooth and efficient process for the settlement of outstanding international patient invoices. Global Recovery Alliance, whilst being both innovative and progressive, also possesses the benefits of maturity and experience. The worldwide recognition for which Global Recovery Alliance has become known is based on the qualitative results, reliability of service levels and professionalism we provide. This coupled with the recommendations and references from clients, has allowed Global Recovery Alliance to become recognised as a trusted world leader in international medical recoveries and account receivables management. Whilst working successfully for many US healthcare providers it should also be noted that 11 of the top 20 US healthcare providers are already experiencing the benefits of using Global Recovery Alliance. Global Recovery Alliance’s in-house collections specialists communicate with patients in their own language wherever in the world they live. We listen to our clients needs and then custom build a service to suit that requirement. We deliver a tailored service to our clients because experience has shown that no two clients seek exactly the same service for their international collections. We aim to include (where possible) most third party charges in our commission structure. Clients receive detailed monthly reports (specific to client’s requirements) outlining the actions taken on each case, so our clients can stay efficiently up to date and fully informed on every individual case. Clients enjoy the benefits of a dedicated account manager for all day-to-day contact and information requests. Global Recovery Alliance’s clients do not incur any up-front membership fees. Simply put, nothing will be owed to Global Recovery Alliance if we are unsuccessful in making a collection. Provision of clean, clear and a manageable invoicing process (also with the added benefit of financial account management). Global Recovery Alliance’s fees are a percentage of collections made and thus can be affected by a number of determining factors, whether by general placement or specific task based placement. Global Recovery Alliance is committed to protecting the privacy and security of all Protected Health Information (P.H.I.) that it receives, creates, stores or transmits in the course of handling patient accounts on behalf of its clients. To emphasize this unwavering commitment to protecting the privacy of patients and to H.I.P.A.A. We strictly follow the most current regulations and collections laws. The relevant and specific details being governed by our clients Business Associate and Collection Services Agreement.